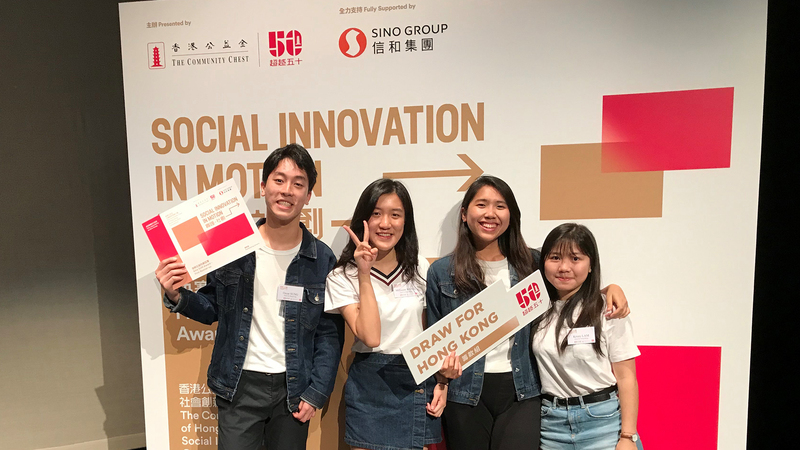 Four year-one Global Business Studies (GBS) students won the 1st Runner-up in the Social Innovation in Motion Competition (SIiM) held on 9 March 2019. 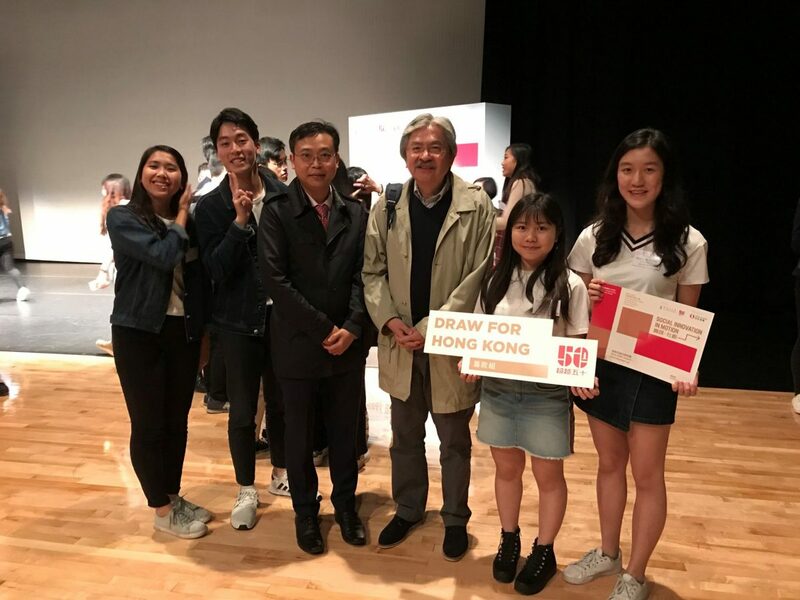 Four year-one Global Business Studies students including Joanne Chan, Kristy Lam, Millicent Wong and Oscar Sung participated in SIiM and came second under the fundraising category. 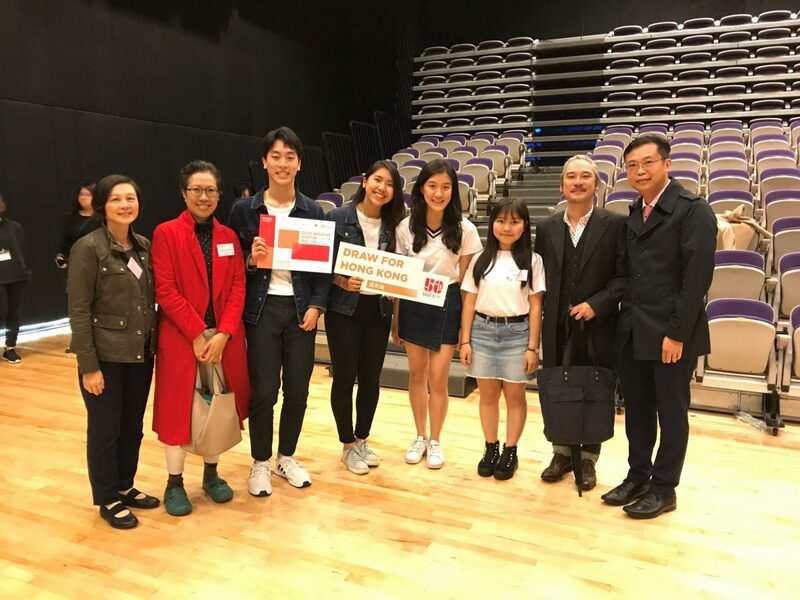 Our team competed in the fundraising category and was shortlisted as one of the 16 finalist teams to present at the Grand Final on 9 March 2019 to compete for the championship. 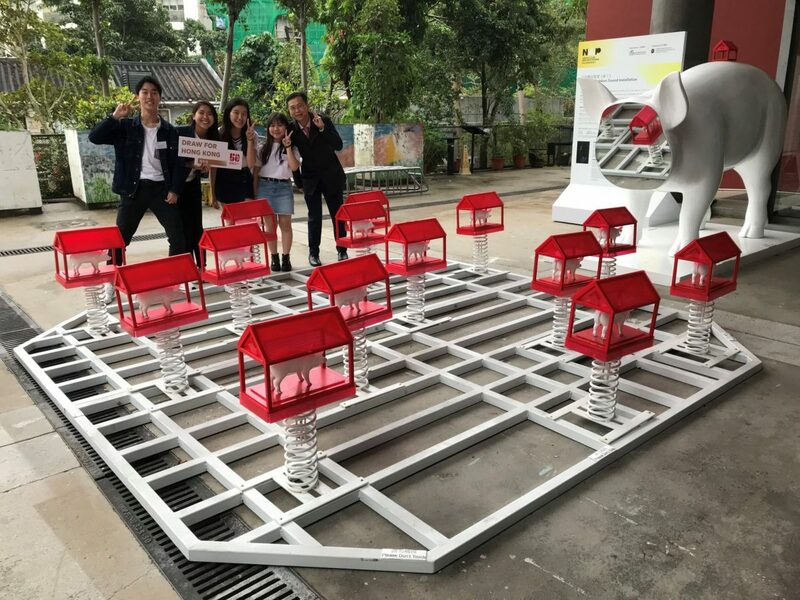 The GBS team’s idea was to create a sizeable participatory artwork and turn it into a photographic hotspot that could become a collective memory for Hong Kong people. They impressed the judges with their thorough market analysis and practical strategies. Our GBS team was awarded with the First Runner-up in recognition of their outstanding performance. The key takeaway from the competition was not just the award but also a memorable experience to unleash our students’ creativity, to learn from team members, as well as to make an effort to build a better community. 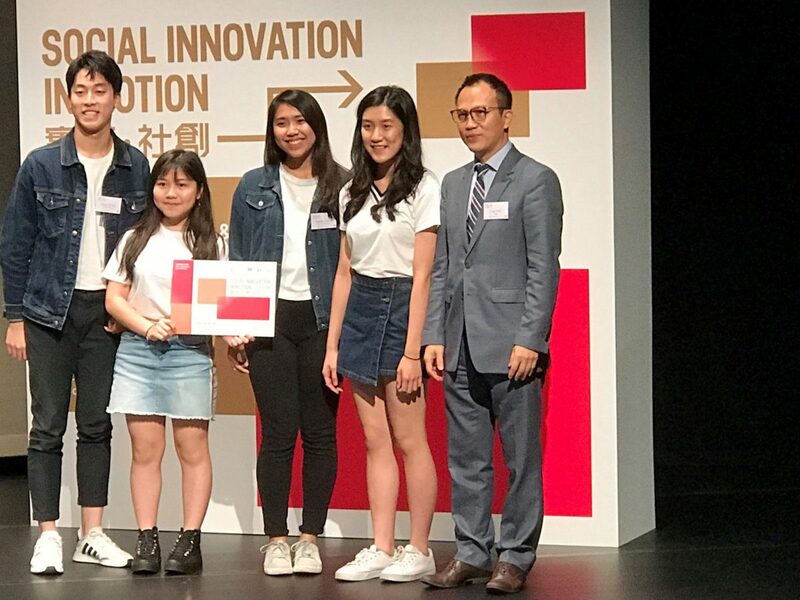 Organised by The Community Chest, Social Innovation in Motion Competition (SIiM) was a community project opened to all tertiary education students to take part in. The competition was categorised into Fundraising and Social Innovation. Participants were required to submit a proposal on a new fundraising campaign for The Community Chest and present their ideas in front of the judging panel. Just copy the link below to share this story on all your social networks!